The line up for this years' Evolution Festival on the Newcastle/Gateshead quayside has been announced. Tickets have gone on sale this morning for the 2012 Evolution Festival. This year it's being held on Sunday 3rd and Monday 4th of March, on the Queen's Diamond Jubilee bank holiday weekend. 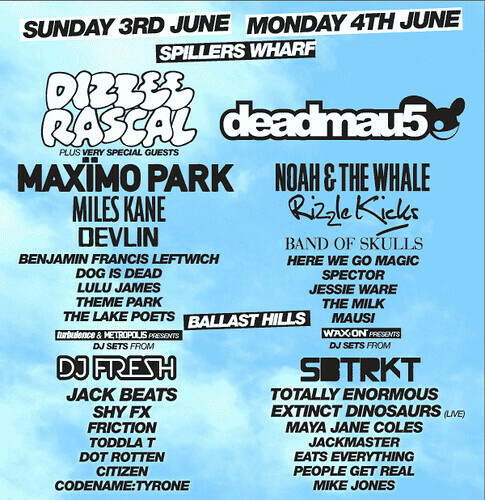 Headliners include Dizzee Rascal, DJ Fresh and Rizzle Kicks. There's a bigger focus on dance music this year - with the traditional dance stage at Baltic Square being moved over to Ballast Hills where there's more space.